NETFLIX UK DARK TOURIST ATTRACTION.THE CRIME THROUGH TIME COLLECTION AT LITTLEDEAN JAIL, FOREST OF DEAN, GLOS ,GL14 3NL … STEP BACK IN TIME WITH OUR UNIQUE GLOUCESTERSHIRE & UK POLICE MEMORABILIA PRIVATE COLLECTION, HERE ON DISPLAY. ABOVE … A BRIEF INSIGHT INTO THE FIRST SERVING GLOUCESTERSHIRE POLICEMAN TO BE KILLED IN THE LINE OF DUTY IN 1861. SERGEANT SAMUEL BEARD WAS , AT THE TIME STATIONED HERE AT LITTLEDEAN JAIL FOR SOME 16 YEARS . THE GLOUCESTERSHIRE POLICE FORCE WAS FORMED IN 1839, MAKING IT THE SECOND OLDEST COUNTY POLICE FORCE IN THE UK . INCIDENTALLY , THE FIRST RECORDED DEATH OF A SERVING PARISH CONSTABLE (FORERUNNERS TO THE POLICE FORCE ) IN THE FOREST OF DEAN WAS HENRY THOMPSON IN THE PARISH OF RUARDEAN , 14 MAY 1817 , AGED 31 . BELOW …. 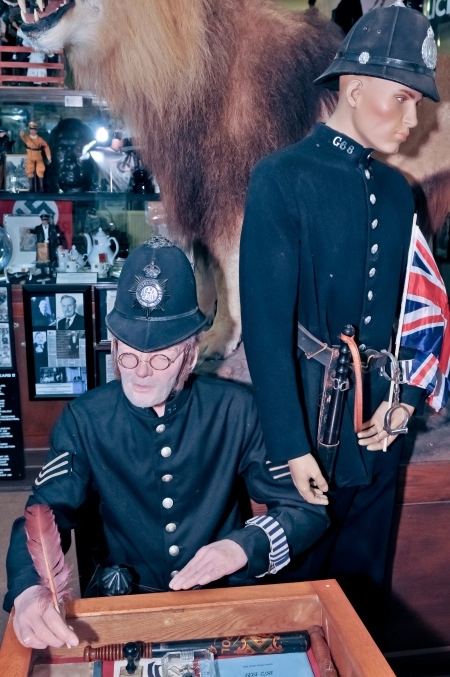 A BRIEF LOOK AT THE ENTRANCE TO THE CRIME THROUGH TIME COLLECTION , LITTLEDEAN JAIL, FEATURING VARIOUS POLICE MANNEQUINS AND OTHER POLICE MEMORABILIA DISPLAYS . HERE’S JUST A BRIEF PICTORIAL INSIGHT INTO SOME OF THE BRITISH POLICE MEMORABILIA AND EPHEMERA ON DISPLAY AT LITTLEDEAN JAIL WHICH COVERS THE HISTORY OF THE POLICE THROUGH THE AGES . 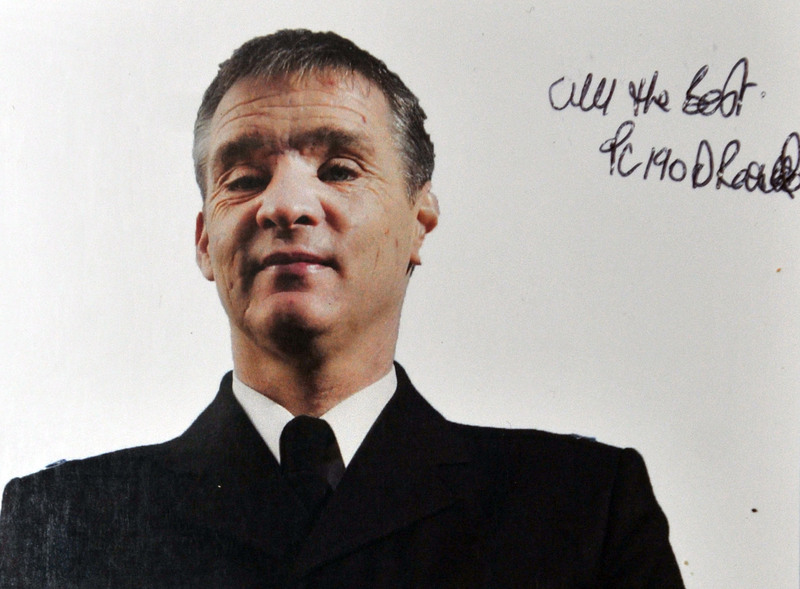 THIS COLLECTION IS BELIEVED TO BE ONE OF THE LARGEST PRIVATE COLLECTIONS OF POLICE MEMORABILIA IN THE UK . 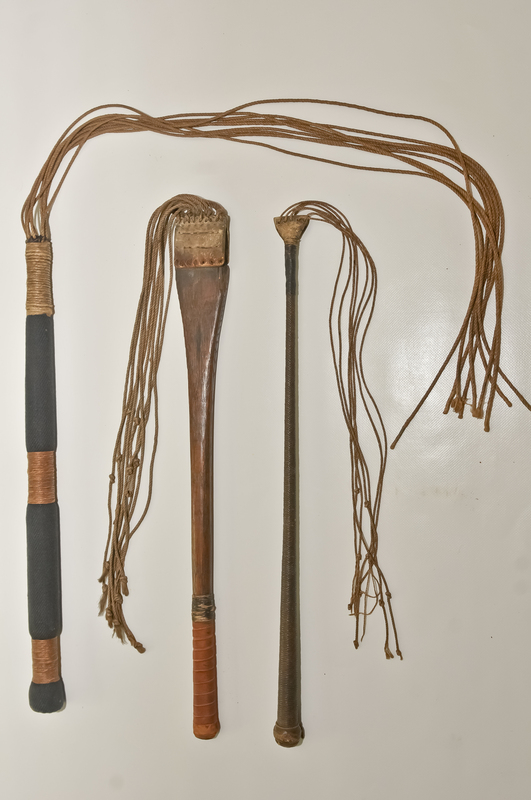 WE HAVE HUNDREDS OF VINTAGE HAND PAINTED TRUNCHEONS , RESTRAINTS , HELMETS, BADGES, UNIFORMS AND MUCH MORE . JUST ONE OF A GREAT MANY BRITISH POLICE MEMORABILIA ITEMS THROUGH THE AGES ON DISPLAY IN ONE OF THE UK’S LARGEST PRIVATE COLLECTIONS OF LAW AND ORDER MATERIAL . ORIGINAL PAINTING BY GLOUCESTERSHIRE ARTIST PAUL BRIDGMAN DEPICTING WPC YVONNE FLETCHER, WHO WAS FATALLY SHOT OUTSIDE THE LIBYAN EMBASSY , ST JAMES SQUARE, LONDON IN 1984 . THIS PAINTING IS ON DISPLAY AT LITTLEDEAN JAIL. The word “Police” means, generally, the arrangements made in all civilised countries to ensure that the inhabitants keep the peace and obey the law. The word also denotes the force of peace officers (or police) employed for this purpose. In attaining these objects, much depends on the approval and co-operation of the public, and these have always been determined by the degree of esteem and respect in which the police are held. One of the key principles of modern policing in Britain is that the police seek to work with the community and as part of the community. The origin of the British police lies in early tribal history and is based on customs for securing order through the medium of appointed representatives. In effect, the people were the police. The Saxons brought this system to England and improved and developed the organisation. This entailed the division of the people into groups of ten, called “tythings”, with a tything-man as representative of each; and into larger groups, each of ten tythings, under a “hundred-man” who was responsible to the Shire-reeve, or Sheriff, of the County. The tything-man system, after contact with Norman feudalism, changed considerably but was not wholly destroyed. In time the tything-man became the parish constable and the Shire-reeve the Justice of the Peace, to whom the parish constable was responsible. This system, which became widely established in the seventeenth and eighteenth centuries, comprised, generally, one unarmed able-bodied citizen in each parish, who was appointed or elected annually to serve for a year unpaid, as parish constable. He worked in co-operation with the local Justices in securing observance of laws and maintaining order. In addition, in the towns, responsibility for the maintenance of order was conferred on the guilds and, later, on other specified groups of citizens, and these supplied bodies of paid men, known as “The Watch”, for guarding the gates and patrolling the streets at night. In the eighteenth century came the beginnings of immense social and economic changes and the consequent movement of the population to the towns. The parish constable and “Watch” systems failed completely and the impotence of the law-enforcement machinery was a serious menace. Conditions became intolerable and led to the formation of the “New Police”. The Bow Street Patrols, mounted and foot, the latter commonly called the “Bow Street runners”. Police Office constables attached to the offices of, and under the control of, the Magistrates. The Marine or River Police. By 1839 all these establishments had been absorbed by the Metropolitan Police Force. The City of London Police, which was set up in 1839, remains an independent force to this day. Until 1829, law enforcement had been lacking in organisation. As London expanded during the 18th and 19th centuries the whole question of maintaining law and order had become a matter of public concern. In 1812, 1818 and 1822, Parliamentary committees were appointed to investigate the subject of crime and policing. But it was not until 1828 when Sir Robert Peel set up his committee that the findings paved the way for his police Bill, which led to the setting up of an organised police service in London. 1829 The formation of the Metropolitan Police Force on 29 September 1829 by Sir Robert Peel. Sir Charles Rowan and Richard Mayne are appointed as Justices of the Peace in charge of the Force.1830PC Joseph Grantham becomes first officer to be killed on duty, at Somers Town, Euston. The Metropolitan Police ranks were increased considerably to 3,300 men.1831Further riots. A crowd attacks Apsley House, home of the Duke of Wellington, and break all the windows. The police eventually restore order.1832Richard Mayne, the Commissioner, tries to clarify the roles of the Magistrates and the Commissioners as the Bow Street Runners continue their existance.1833Coldbath Fields Riot (Grays Inn Road). A major crowd disturbance was dealt with by the Metropolitan Police with controversial use of force. PC Robert Culley was killed at this event, and the jury returned a verdict of Justifiable Homicide. 1835In October a fire breaks out at the Millbank Penitentiary and 400 Metropolitan Police officers and a detachment of the Guards are called to restore order. This prompted the press to call for the police to be put in command at all large fires. 1836The Metropolitan Police absorb the Bow Street Horse Patrol into its control. 1837Select Committee appointed to look into the affairs of the police offices. They also propose that the City of London be placed under the control of the Metropolitan Police. 1838Select Committee finally reports and recommends incorporating of Marine Police and Bow Street Runners into the Metropolitan Police and the disbandment of the Bow Street Office and other Offices. These were all agreed and put into effect. .1840Gould Interrogation case in which Police Sergeant Otway attempts induced self-incrimination in the accused, which is immediately discountenanced by the Courts and Commissioner Richard Mayne. .1844Richard Mayne, Commissioner, called to give evidence to the Select Committee on Dogs. He stated that in the Metropolis there were a rising number of lost or stolen dogs. In the preceding year over 600 dogs were lost and 60 stolen. He declared the law to be in a very unsatisfactory state as people paid money for restoration of dogs. ‘People pay monies to parties whom they have reason to believe have either stolen or enticed them away in order to get the reward…’ Mayne believed it to be organised crime. 1845The Commissioners, in returns to the Home Office, states that the aim of the Force was to have one Policeman to 450 head of population. 1846Plain clothes officers were frequently used at this time, but a June order made clear that two officers per division would be employed on detective duties, but that police in plain clothes must make themselves known if interfered with in their duty. 1847Statistics for the year were; 14,091 robberies; 62,181 people taken in charge, 24,689 of these were summarily dealt with; 5,920 stood trial and 4,551 were convicted and sentenced; 31,572 people were discharged by the magistrates. The Metropolitan Police were still, despite their good record on crime prevention, facing discipline problems amongst their officers on the 18 divisions, with 238 men being dismissed in the year. .1849Authorised strength 5,493. In reality 5,288 were available for duty. The population at this time in London was 2,473,758. 1850 Retirement of Sir Charles Rowan as joint Commissioner. Captain William Hay is appointed in his place. 1851 The Great Exhibition with its special crowd problems forces the police to temporarily form a new police division. The total manpower of the force at this time was 5,551, covering 688 square miles. 1853 Lord Dudley Stuart, MP for Marylebone and a persistent critic of the police, suggests in Parliament that the police are not worth the money they cost. He recommends that they be reduced in numbers, and a higher class of officers be recruited to control the constables. 1854 Out of 5,700 in the Metropolitan Force, 2.5% were Scottish, 6.5% Irish. The Commissioner was not happy about employing these officers in areas of high Scottish or Irish ethnic concentrations. 1855 Death of Captain William Hay. Sir Richard Mayne becomes sole Commissioner. 1856 Detective Force increased to 10 men, with an extra Inspector and Sergeant. 1857 The Commissioner Richard Mayne is paid a salary of £1,883, and his two Assistant Commissioners are paid salaries of £800 each. 1858 First acquisition of Police van for conveying prisoners. These were horse drawn, and known as‘Black Marias’. 1860 Police begin the occasional use of hand ambulances for injured, sick or drunk people. Accommodation or ‘ambulance sheds’ are later provided for these in police station yards. .1864Execution of 5 pirates of the ship ‘Flowery Land’ at Newgate. The Metropolitan Police supply nearly 800 officers to keep the peace. 1865Further extensions of the Metropolitan Police District in terms of the area patrolled in north east London. .1867The Metropolitan Police are severely criticised after Commissioner Richard Mayne ignores a warning about the Clerkenwell bombing by the Fenians. Mayne offers his resignation, but it is refused.1868Death of Commissioner Sir Richard Mayne. Lieutenant Colonel Douglas Labalmondiere acts as Commissioner. 1869Lieutenant Colonel Edmund Henderson appointed Commissioner. 1870 The standard height for Metropolitan Police officers is raised to 5ft 8ins, except for Thames Division, where it is 5ft 7ins. 1872 Police strike for the first time. Various men are disciplined or dismissed, although these latter are later allowed back in to the Force. 1873 The Metropolitan Police acquire 9 new stations : North Woolwich, Rodney Road (Lock’s Fields), Chislehurst, Finchley, Isleworth, Putney, South Norwood, Harrow and Enfield Town. 1874 A survey of recruiting over a 2 year period showed that of those who had joined the force; 31% came from land jobs, 12% from military services, and 5% from other police jobs. The remainder came mostly from manual jobs. The majority of recruits and serving officers came from outside of London. 1875 New police offices at Great Scotland Yard are taken possession of on 4 October 1875 by the Detective and Public Carriage Departments. 1877 Trial of the Detectives or Turf Fraud Scandal exposes corruption within the Force. 1878 Charles Vincent was appointed Director of Criminal Investigations, the reformed Detective Branch which became known as C.I.D. 1880 Formation of the Convict Supervision Office for the assistance and control of convicts discharged upon license. 1881 Possibly London’s most famous police station, Bow Street, was rebuilt in this year. 1882 The growth of London and the area needing policing is illustrated in Tottenham, (Y Division) when 8 miles of new streets are formed in a year with nearly 4,000 houses on them. .1884A bomb explodes at Scotland Yard planted by the Fenians. The Special Irish Branch are hit. 1885The strength of the force at this time was 13,319, but statistics show that only 1,383 officers were available for beat duty in the day. The population of London at this time was 5,255,069.Public outrage at the explosions at the Tower of London and Houses of Parliament. Two men are sentenced to penal servitude for life as a result. 1886Trafalgar Square riot forces resignation of the Commissioner Sir Edmund Henderson. 1887Major riot in Trafalgar Square, known as ‘Bloody Sunday’, the first test for the new Commissioner Sir Charles Warren, appointed the previous year. 1888Sir Charles Warren resigns after a dispute with the Home Office, and James Monro is appointed Commissioner in his place. Jack the Ripper murders in the Whitechapel area.1889The last of the so called “Whitechapel” murders is discovered with the death in Castle Alley on 17 July of Alice McKenzie. 1890 Opening of the new headquarters at the Norman Shaw Building on the Embankment known as New Scotland Yard. Police strike at Bow Street Police Station. Sir Edward Bradford is appointed Commissioner after the resignation of James Monro. 1891The Public Carriage and Lost Property Offices move from Great Scotland Yard to the new offices at New Scotland Yard on the 21 March. 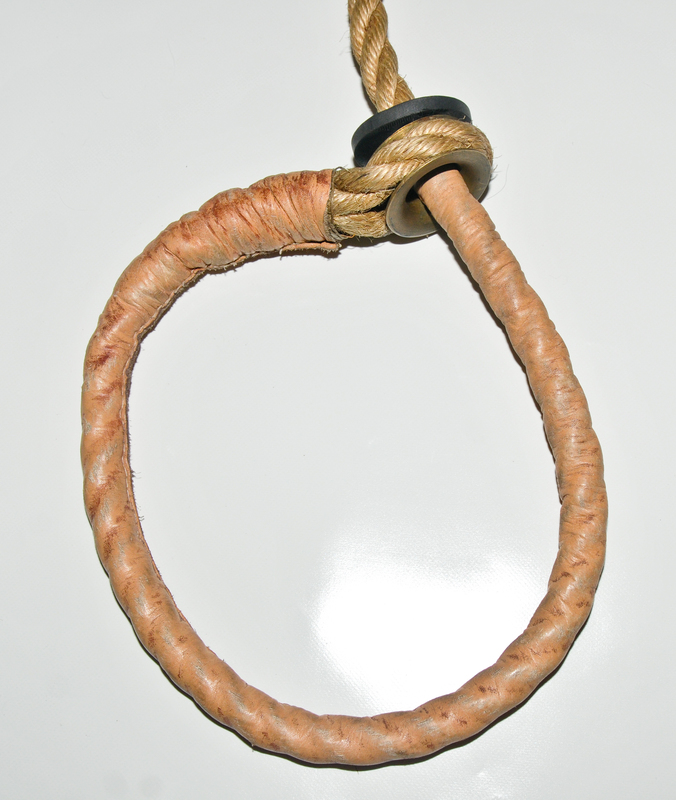 ”1893PC George Cooke, a serving officer, is convicted for murder and hanged. The bodily complaints for which candidates were rejected included; flat foot, stiffness of joints, narrow chest and deformities of the face. 1896Public Carriage Office and Lost Property Offices amalgamate under the designation ‘Public Carriage Branch’. 1897Metropolitan Police Officers granted a boot allowance instead of being supplied with boots. Police boots at this time were loathed, only Sir Edward Bradford, the Commissioner, believing them suitable. 1898After a series of assaults and the murder of PC Baldwin in the vicinity of the Kingsland Road, there are calls for the Metropolitan Police to be armed with revolvers. 1899High rate of suicides amongst officers. This is blamed by certain commentators on harsh discipline and insensitive handling of the men. As the century draws to a close it is worth noting that the Metropolitan Police on formation in 1829 had a force of about 3,000 men, and by 1899 16,000. The population of London had grown from 1,500,000 to 7 million. .1901The Fingerprint Bureau commences operation after the findings of the Belper Report. Anthropometric measurements under the Bertillon system are still used, but begin to decline in importance. 1902The coronation of King Edward VII makes major demands on the police, resulting in 512 police pensioners being recalled for duty. Extra pay, leave and a medal were granted to all serving officers. 1903Sir Edward Bradford retires as Commissioner to be replaced by Edward Henry. 19046 new stations buildt at East Ham, Hackney, John Street, Muswell Hill, North Woolwich and Tower Bridge. 1 is near completion and 2 other started. Major works take place on 23 other stations. 1905An article in Police Review mentions that Pc William Hallett of Y Division, who had retired after 26 years as a mounted officer, had ridden 144,000 miles or more than 5 times around the world in the course of his duty. 1906The Metropolitan Police at this stage in their history are on duty for 13 days a fortnight and have an additional leave of 10 days. 1907Clash between the Metropolitan Police and 800 Suffragettes outside the House of Commons on 13 February. Mounted and Foot officers are used to disperse them, and allegations of brutality are made. 1909The Tottenham Outrage occurs, in the course of which PC William Tyler and a 10 year old boy are shot dead by anarchists. 1910 Radio Telegraphy used for the first time, resulting in the capture of Doctor Crippen. The miners strike in South Wales results in many Metropolitan Police officers assisting to maintain law and order. 1911The Siege of Sidney Street results in armed Metropolitan Police officers taking to the streets with the military to deal with armed anarchist criminals. 1912Assassination attempt on the life of the Commissioner, Sir Edward Henry. Establishment of the Metropolitan Police Special Constabulary on a permanent basis. 1913The Commissioner calls for legislation to be introduced to restrict the trade in pistols following the assassination attempt on his own life. 1914With the outbreak of war, 24,000 Special Constables are sworn in, and by the end of the year there are 31,000. Annual leave is suspended for the first year of the war. Women Police founded in this year. 1915London Ambulance Service commences operation, taking over some of the duties originally performed by the Metropolitan Police. However, police in this year convey over 11,000 people to hospital. 1916The Commissioner Sir Edward Henry signs a Police Order in November stating that any member of the Metropolitan Police renders himself liable to dismissal by joining a union. 1917At this point in WW1, some 2,300 members of the Metropolitan Police were serving in the armed services. 1918Major strike of Metropolitan Police in search of better pay and conditions, and union recognition. Sir Edward Henry resigns as Commissioner, and is replaced by Sir Nevil Macready. 1919Macready crushes a further police strike. 1920Sir Nevil Macready retires as Commissioner, and is replaced by Brigadier-General Sir William Horwood. 1921The Police Pensions Act comes into force, fixing an age limit for each rank at which retirement shall be compulsory. Z Division formed on the South side of the River Thames. 1922Commissioner Horwood admits that many of the men taken into the force in 1919 to replace strikers and those in the armed forces have given trouble due to neglecting their beats and drunkenness. The Commissioner also comments on the growth in consumption of methylated spirits, with 80 convictions this year. Women Constables reduced to an establishment of 20. 1923First Cup Final at Wembley leads to major crowd problems, controlled by the Mounted Branch. Billy, the White Horse of Wembley, and his rider Pc George Scorey become a legend. 1924The Commissioner explains in his Annual Report how the social status of a Metropolitan policeman has been raised due to his conditions of employment. 1925The Metropolitan Police begin to withdraw from policing dockyards (including Rosyth, Pembroke, Deptford Dockyards) and War Department Stations. Sir James Olive retires from his position as an Assistant Commissioner after 53 years service. 1928Retirement of Brigadier-General Sir William Horwood. Viscount Byng of Vimy appointed new Commissioner. 1929Centenery of Metropolitan Police celebrated with a parade in Hyde Park and inspection by HRH the Prince of Wales. The Police Box system commences on an experimental basis in Richmond and Wood Green. 1930 Large number of men posted to Motor Patrol work: 4 subdivisional Inspectors, 31 Sergeants, and 324 Constables. 1931 Commissioner Byng retires. Lord Trenchard appointed. 1932 Lord Trenchard abolishes the timed Beat System and sets out his thoughts about the Metropolitan Police Personnel recruitment and promotion system. 1933 Trenchard begins his programme for the improvement of Section Houses. 1934 The Metropolitan Police College opens at Hendon. Metropolitan Police withdraw from Devonport Dockyard, bringing to a close its presence in HM Dockyards. 1935Metropolitan Police Forensic Laboratory opened. Lord Trenchard retires as Commissioner, and Sir Philip Game is appointed in his place. 1936The Battle of Cable Street involves the Metropolitan Police in street battles with opposing political factions. 1937The 999 system is introduced. 1938Civil Defence starts with the formation of two Reserves in the event of war. The first are retired officers, the second Special Constables. 1939I.R.A. activity results in 59 explosions in the Metropolitan Police District. 55 people are convicted for these offences. 194098 Metropolitan Police officers killed during air raids. 1941Air raid bombings continue, and Holloway police station is destroyed. Somers Town, Sydenham and Brixton stations are too badly damaged to be used. 1942Police officers allowed to volunteer for the Armed Forces. 1943In an attempt to curb housebreaking, the Commissioner Sir Philip Game asks people not to keep furs, saying “they are no doubt warmer, and look nicer than a tweed coat, but a live dog is better than a dead lion. ”1944Looting reaches an all time record. .1946The Metropolitan and City Police Company Fraud Department is formed. 1947Metropolitan Police face a deficiency of 4,730 men as a result of the war. 1948Indictable crime rate falls to 126,000 crimes, but this is still 40% higher than before the war. 1949Lord Oakseys committee reports on police pay, recommending small increases and London weighting. 1950 The Metropolitan Police Roll of Honour is unveiled at Westminster Abbey by the Queen, displaying the names of officers killed in the 1914-1918 and 1939-1945 wars. 1951 Commissioner Harold Scott introduces training of cadets aged 16 – 18 to become police officers. 1952 The Dixon Report advocates many changes in the Metropolitan Police, including greater civilianisation. 1953 Sir Harold Scott retires, and is replaced as Commissioner by Sir John Nott-Bower. 1954 Serious understaffing problems, with the force consisting of only 16,000 and needing an estimated 4,000 men, mainly Police Constables. 1955 Formation of the Central Traffic Squad, consisting of 100 men. 1956 Flying Squad makes over 1,000 arrests, a record since its formation. 1957 New Information Room opens at New Scotland Yard. 1958 Sir John Nott-Bower retires as Commissioner. He is replaced by Joseph Simpson. 1959 Indictable offences reach over 160,000, the highest recorded to date. Criminal Intelligence Section and Stolen Motor Vehicle Investigation branches established. 1961The Receivers Office moved from Scotland House to new premises at Tintagel House. The Minicab arrives on the London scene, and the Metropolitan Police obtain 24 convictions for illegal plying for hire. 1962The rate of indictable crimes for this year reaches an all time high – 214,120. The series ‘Police 5′, designed to prevent crime, begins on BBC. 1963The Commissioner, Joseph Simpson, stresses the need for the Beat system to reduce motorised patrols and deter incidents of crime. The first computer to be used by the Met (an ICT 1301) was set up in the office of the Receiver for use on pay and crime statistics. 1964The worst year so far this century for crime, with over a quarter of a million indictable crimes. .1965Special Patrol Group formed consisting of 100 officers. It arrested 396 people in its first 9 months of operation. 1966The Commissioner’s Office and the Receiver’s Office are combined. 3 Metropolitan Police officers murdered at Shepherds Bush. 1967The headquarters is moved from the Norman Shaw Building to a new building in Broadway, just off Victoria Street. The name of New Scotland Yard is retained. 1969MPS officers sent to offer assistance in the Anguilla crisis. Serious Crime Squad becomes permanent. 1970 Clear up rate on indictable crimes reaches 28%, the best since 1957. 1972 Sir John Waldron is succeeded as Commissioner by Robert Mark. 1973 Robert Mark works to restore the integrity of the Metropolitan Police, and 90 officers leave as a result. Mark establishes better relations with the media by setting out a policy of openness. Women police are integrated directly into the force. .1975Robert Mark makes an appeal on television for ethnic recruits. Balcombe Street and Spaghetti House sieges were both brought to successful conclusions by the Met. 1976Major riot at Notting Hill Carnival, in which more than 400 officers and civilian staff were injured. 1977David McNee becomes Commissioner after the retirement of Sir Robert Mark. 1978An inquiry into police pay by Lord Edmund-Davies results in higher allowances and better pay to officers. 1979The Metropolitan Police celebrates its 150th Anniversary. A new Force Inspectorate is formed, to provide a close and continuing assessment of the efficiency of all units of the force. 1980Iranian Embassy siege brought to a successful conclusion after co-operation between the Met and the Special Air Service Regiment. Formation of Metropolitan Air Support Unit with its own Bell 222 helicopter. 1981Brixton Riots involve the Metropolitan Police in the largest civil disturbance this century. 1982Sir David McNee retires as Commissioner to be replaced by Sir Kenneth Newman. 1983With the aid of the MPS Policy Committee Sir Kenneth Newman devises a new statement of the Principles of Policing, and in doing so changes the emphasis from the primary objectives of policing established by Richard Mayne and Sir Charles Rowan in 1829. 1984PC Jon Gordon lost both legs and part of a hand in the IRA bomb attack on Harrods in 1983. On 10 December 1984 he resumed duty by walking unaided up the steps to his new office. 1985Tottenham Riots (also known as ‘Broadwater Farm’ riot) result in the murder of PC Keith Blakelock. 1986Identification Parade screens introduced at Clapham police station. The Police and Criminal Evidence Act comes into force in January. Mounted Branch celebrates its 150th anniversary. 1987Sir Kenneth Newman retires, and is replaced as Commissioner by Peter Imbert. 1988The Commissioner stresses the need for close community liaison between the Police and Consultative Groups to foster the police / public partnership. 1989‘Plus Programme’ launched to improve the corporate image and quality of the service of the Metropolitan Police. It significantly altered attitudes within the MPS, and included the Statement of Common Purpose and Values. 1990 Riot in Trafalgar Square mirrors the 1887 riot in the same location. 1991 Sector Policing introduced, involving a team of officers with a continuing responsibility for the same small community area or sector. 1992 First 5 year Corporate Strategy published in February. 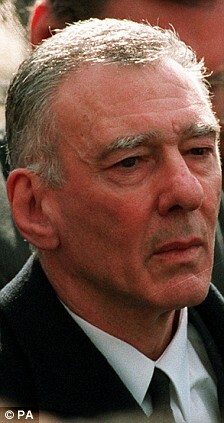 1993 Sir Peter Imbert retires, and is replaced as Commissioner by Sir Paul Condon. Operation Bumblebee introduced on the 1 June and has a considerable impact on burglary in the capital. 1994Metropolitan Police Service key objectives established for the first time by the Government, plus key performance indicators. 1995Metropolitan Police Committee formed on 1 April. Crime Report Information System (CRIS) introduced. It revolutionises the means of recording crimes. The MPS launches its Website at www.met.police.uk. Click here to find out more about this website. 1997Installation of N.A.F.I.S. the National Automated Fingerprint Identification System. 1998The Metropolitan Police launch the Policing Diversity Strategy in response to the majority of issues raised into the Inquiry into the death of Stephen Lawrence. The aim is to provide better protection to ethnic communities from racial and violent crime and demonstrate fairness in every aspect of policing. 1999The handling of the Greek Embassy siege demonstrates the professionalism of the Metropolitan Police Service. 2000 Sir Paul Condon retires and is replaced as Commissioner by Sir John Stevens. Sir John issues his Policing Pledge for Londoners. 2004 Wednesday 29 September was an historic day as the Met celebrated 175 years of policing London. 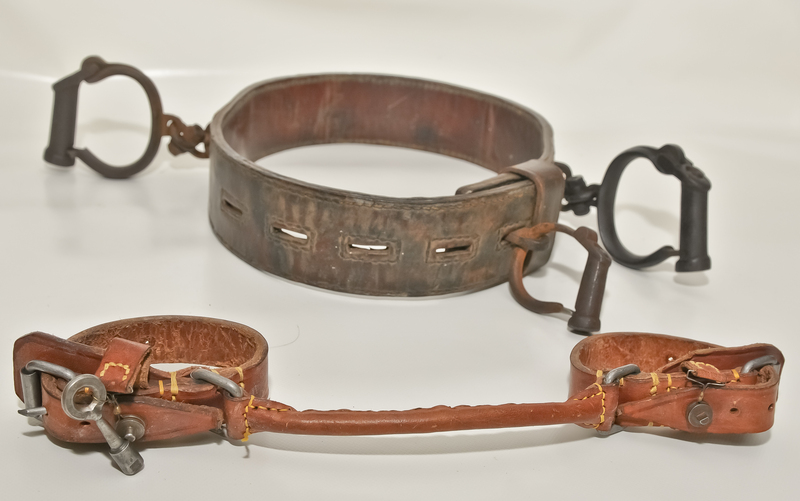 HERE’S A FEW ITEMS HERE ON DISPLAY AT THE JAIL …. NETFLIX UK DARK TOURIST ATTRACTION. ‘WHERE GOOD & EVIL COLLIDE, WHERE FANTASY MEETS A BRUTAL REALITY’…. WITH THE BIRTH OF ISIS. IT’S ALL HERE AND MUCH MORE AT THE CRIME THROUGH TIME COLLECTION, LITTLEDEAN JAIL, UK … A DISTURBINGLY VOLATILE MIX OF MYTH AND REALITY AS THE DARK SIDE AWAKENS IN THE FOREST OF DEAN. ABOVE: OIL PAINTING BY LITTLEDEAN JAIL’S IN-HOUSE ARTIST PAUL BRIDGMAN HERE ON DISPLAY WITHIN OUR DARK TOURIST ART GALLERY . PLEASE BE WARNED … THIS EXHIBITION ALONG WITH THE CRIME THROUGH TIME COLLECTION, HERE AT LITTLEDEAN JAIL IS NOT SUITABLE FOR CHILDREN OR THOSE EASILY DISTURBED OR OF A SENSITIVE NATURE …. With some of the scenes from the new Star Wars film ” The Force Awakens” having been filmed at Puzzlewood here in Coleford ( not too far from Littledean Jail) , we have ourselves now added an intriguing and volatile mix of myth and reality with our own insight into THE FEDAYEEN SADDAM ( Saddam Hussein’s “Men of Sacrifice”) . This was an Iraqi paramilitary militia and personal bodyguard division formed by Saddam’s equally brutal dictator son Uday, who were accountable only to Saddam and Uday . THE FEDAYEEN SADDAM ENFORCERS wore a helmet that was designed by Uday to mirror the helmet worn by Star Wars villain Darth Vader. Also the all black uniform , though without the “Darth Vader” cape . Both Saddam and his son Uday were keen fans of Star Wars films . Even Saddams infamous “Hands of Victory ” monuments at the gateways to Baghdad, to celebrate the defeat of Iran in the Iran – Iraq War… were based on the “Empire Strikes Back ” film poster image (see below) depicting Darth Vader holding crossed Lightsabers . Here on display at The Crime Through Time Collection , Littledean Jail , and new for 2016 … we have pieced together ” The Dark Side of the Fedayeen”exhibition, This to compliment Saddam and Uday’s fascination and interest with Star Wars phenomena . This being alongside various other Star Wars signed memorabilia , action figures and also on a more serious note, the brutal acts of the Fedayeen and the Iraqi regime . NOT FORGETTING OF COURSE THAT AFTER THE FALL OF SADDAM’S REGIME IN 2003 , THE FEDAYEEN AND SOME 100 OR SO OF SADDAM’S CHIEF COMMANDERS BECAME THE FOUNDERS AND LEADERS OF THE ISLAMIC STATE (ISIS), FOR WHICH IS STILL VERY MUCH CONTROLLED BY SADDAM HUSSEIN’S FORMER CHIEFS SOME 13 YEARS OR SO LATER . THE VIEW OF MANY IS THAT WE SHOULD HAVE LEFT SADDAM HUSSAIN’S IRAQI REGIME TO RULE IT’S OWN COUNTRY AS THEY FELT FIT TO DO SO . .
TO A GREAT MANY ….A SEEMINGLY COSTLY AND POINTLESS WAR AGAINST A CULTURE AND RELIGION THAT MOST OF THE WESTERN WORLD DO NOT UNDERSTAND AND YET HAVE SEEMED FIT TO INTERFERE IN. THIS HAVING RESULTED IN A TRAGIC LOSS OF A GREAT MANY LIVES ON ALL SIDES. MANY ARGUE THAT WE SHOULD NEVER HAVE GOT INVOLVED IN THIS EQUALLY SEEMINGLY NEVER ENDING WAR? Fedayeen Saddam (فدائيي صدام) was a paramilitary organization loyal to the Ba’athist government of Saddam Hussein. The name was chosen to mean “Saddam’s Men of Sacrifice”. At its height, the group had 30,000-40,000 members. ABOVE IS A SLIDESHOW OF SOME OF THE FEDAYEEN SADDAM ( SADDAM’S “MEN OF SACRIFCE”) UNIFORM AND OTHER ASSOCIATED EXHIBIT ITEMS ON DISPLAY AT LITTLEDEAN JAIL . The Fedayeen Saddam was not part of Iraq‘s regular armed forces but rather operated as a paramilitary unit of irregular forces. As a result of this, the Fedayeen reported directly to the Presidential Palace, rather than through the military chain of command. Whilst paramilitary the Fedayeen were not an elite military force, often receiving just basic training and operating without heavy weapons. In this they were somewhat similar to the Basij of Iran or Shabbiha militia of Syria. Much like other paramilitaries, the Fedayeen was volunteer based and the units were never given an official salary. As a result, most of the members resorted to extortion and theft of property from the general population, even though the members had access to sanction-evading trade and high quality services (i.e. new cars, hospitals reserved for officials, expensive electronics) and a general standard of living considerably higher than that of the average Iraqi of the time.However, they were ordered not to threaten or harm any government officials. This group wasn’t religious or anything so it had a mix of sunni and Shia minority. The Fedayeen were among the most loyal organizations to the government of Saddam Hussein and were a politically reliable force against domestic opponents. The Fedayeen played a role in the 2003 war, resisting the American invasion. BELOW: An original oil painting depicting notorious ISIS Executioner “Jihadi John” unmasked . BELOW: An original oil painting depicting notorious ISIS Executioner “The Bulldozer ” unmasked . 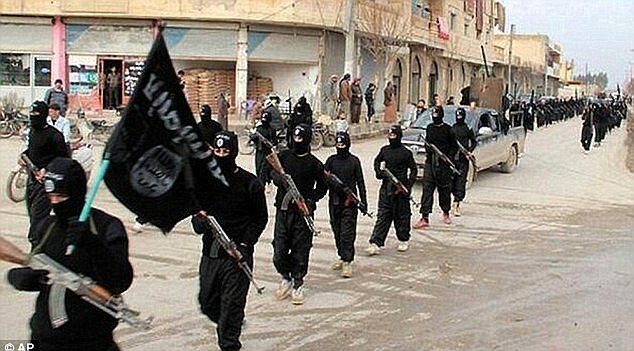 Once part of one of the most brutal dictator’s army in the Middle East, over 100 former members of Saddam Hussein’s military and intelligence officers are now part of ISIS. 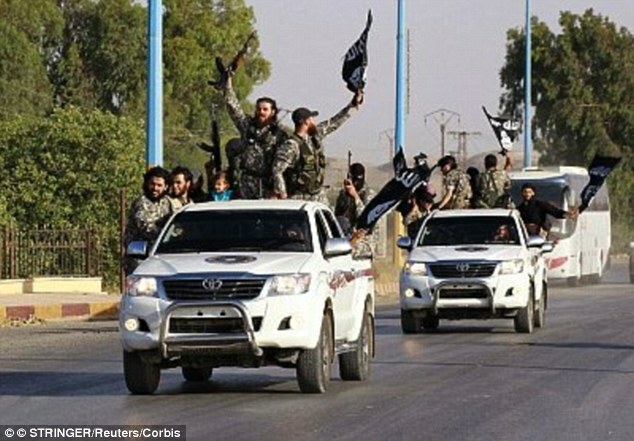 Now they make up the complex network of ISIS’s leadership, helping to build the military strategies which have led the brutal jihadi group to their military gains in Syria and Iraq. The officers gave ISIS the organization and discipline it needed to weld together jihadi fighters drawn from across the globe, integrating terror tactics like suicide bombings with military operations. ‘It is forbidden by religion to bring the name of the Almighty into a defiled place like this,’ Omran recalled being told by Maj. Taha Taher al-Ani. Omran didn’t see al-Ani again until years later, in 2003. The Americans had invaded Iraq and were storming toward Baghdad. 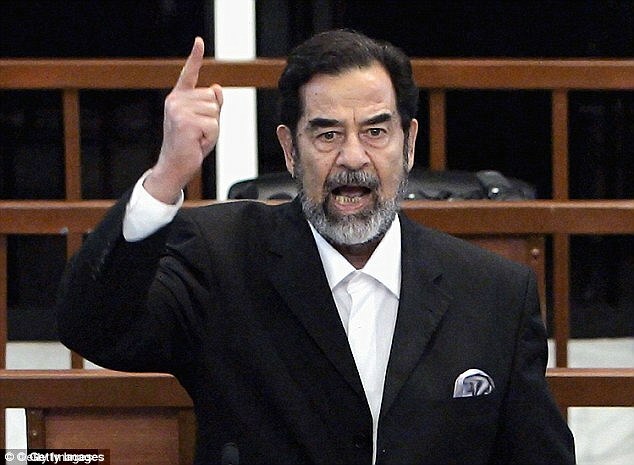 Saddam Hussein’s fall was imminent. At a sprawling military base north of the capital, al-Ani was directing the loading of weapons, ammunition and ordnance into trucks to spirit away. He took those weapons with him when he joined Tawhid wa’l-Jihad, a forerunner of al-Qaida’s branch in Iraq. Now al-Ani is a commander in the Islamic State group, said Omran, who rose to become a major general in the Iraqi army and now commands its 5th Division fighting IS. He kept track of his former comrade through Iraq’s tribal networks and intelligence gathered by the government’s main counter terrorism service, of which he is a member. They have been put in charge of intelligence-gathering, spying on the Iraqi forces as well as maintaining and upgrading weapons and trying to develop a chemical weapons program. ‘Their military successes last year were not terrorist, they were military successes,’ said Skinner, now director of special projects for The Soufan Group, a private strategic intelligence services firm. 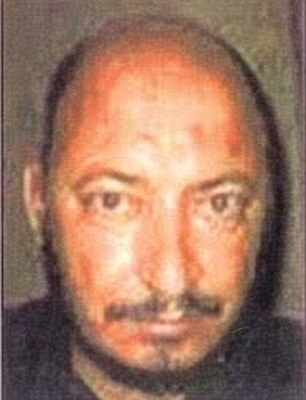 The group’s second-in-command, al-Baghdadi’s deputy, is a former Saddam-era army major, Saud Mohsen Hassan, known by the pseudonyms Abu Mutazz and Abu Muslim al-Turkmani, according to the intelligence chief. 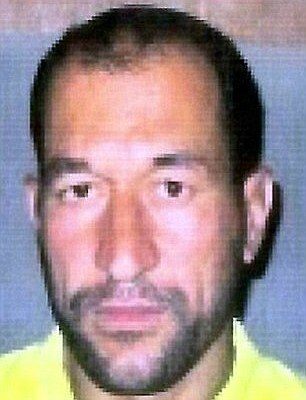 Hassan also goes by Fadel al-Hayali, a fake name he used before the fall of Saddam, the intelligence chief, who spoke under the condition of anonymity to The Associated Press. 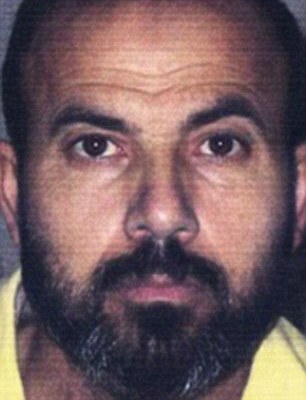 During the 2000s, Hassan was imprisoned in the notorious U.S.-run Bucca prison camp, the main detention center for members of the Sunni insurgency, where al-Baghdadi also was held. The prison was a significant incubator for the Islamic State group, bringing militants like al-Baghdadi into contact with former Saddam officers, including members of special forces, the elite Republican Guard and the paramilitary force called Fedayeen. In Bucca’s Ward 6, al-Baghdadi gave sermons and Hassan emerged as an effective organizer, leading strikes by the prisoners to gain concessions from their American jailers, the intelligence chief said. Former Bucca prisoners are now throughout the IS leadership. 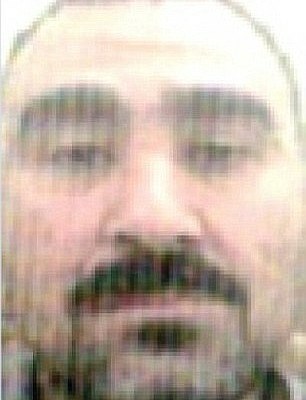 Among them is Abu Alaa al-Afari, a veteran Iraqi militant who was once with al-Qaida and now serves as the head of IS’s ‘Beit al-Mal,’ or treasury, according to a chart of what is believed to be the group’s hierarchy provided to the AP by the intelligence chief. Al-Baghdadi has drawn these trusted comrades even closer after he was wounded in an airstrike earlier this year, the intelligence chief said. He has appointed a number of them to the group’s Military Council, believed to have seven to nine members – at least four of whom are former Saddam officers. He brought other former Bucca inmates into his inner circle and personal security. Saddam-era veterans also serve as ‘governors’ for seven of the 12 ‘provinces’ set up by the Islamic State group in the territory it holds in Iraq, the intelligence chief said. Iraqi officials acknowledge that identifying IS leadership is an uncertain task. Besides al-Baghdadi himself, the group almost never makes public even the pseudonyms of those in its hierarchy. When leaders are killed, it’s often not known who takes their place – and several have been reported killed multiple times, only to turn up alive. Figures are believed to take on new pseudonyms, leaving it unclear if a new one has emerged or not. ‘IS’s military performance has far exceeded what we expected. The running of battles by the veterans of the Saddam military came as a shock,’ a brigadier general in military intelligence told the AP, speaking on condition of anonymity to discuss the sensitive topic. Estimates of the number of Saddam-era veterans in IS ranks vary from 100 to 160 in mostly mid- and senior-level positions, according to the officials. Typically, they hail from Sunni-dominated areas, with intelligence officers mostly from western Anbar province, the majority of army officers from the northern city of Mosul and members of security services exclusively from Saddam’s clan around his hometown of Tikrit, said Big. Gen. Abdul-Wahhab al-Saadi, a veteran of battles against IS north and west of Baghdad. For example, a former brigadier general from Saddam-era special forces, Assem Mohammed Nasser, also known as Nagahy Barakat, led a bold assault in 2014 on Haditha in Anbar province, killing around 25 policemen and briefly taking over the local government building. Many of the Saddam-era officers have close tribal links to or are the sons of tribal leaders in their regions, giving IS a vital support network as well as helping recruitment. These tribal ties are thought to account, at least in part, for the stunning meltdown of Iraqi security forces when IS captured the Anbar capital of Ramadi in May. Several of the officers interviewed by the AP said they believe IS commanders persuaded fellow tribesmen in the security forces to abandon their positions without a fight. Skinner, the former CIA officer, noted the sophistication of the Saddam-era intelligence officers he met in Iraq and the intelligence capabilities of IS in Ramadi, Mosul and in the group’s de facto capital of Raqqa in Syria. ‘They do classic intelligence infiltration. They have stay-behind cells, they actually literally have sleeper cells,’ Skinner said. ‘And they do classic assassinations, which depends on intelligence,’ he said, citing a wave of assassinations in 2013 that targeted Iraqi police, army, hostile tribal leaders and members of a government-backed Sunni militia known as Sahwa. In the run-up to the 2003 U.S.-led invasion, Saddam publicly invited foreign mujahedeen to come to Iraq to resist the invaders. Thousands came and Iraqi officials showed them off to the media as they were trained by Iraqi instructors. Many stayed, eventually joining the insurgency against American troops and their Iraqi allies. After the collapse of the Saddam regime, hundreds of Iraqi army officers, infuriated by the U.S. decision to disband the Iraqi army, found their calling in the Sunni insurgency. In its early stages, many insurgent groups were relatively secular. 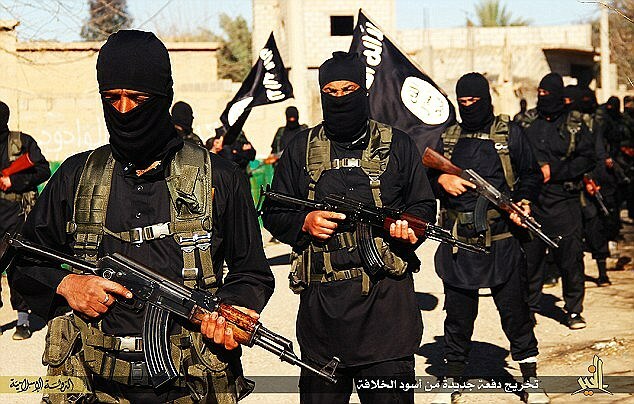 But Islamic militants grew in prominence, particularly with the creation and increasing strength of al-Qaida in Iraq. Some Sunnis were radicalized by bitterness against the Shiite majority, which rose to power after Saddam’s fall and which the Sunnis accuse of discriminating against them. 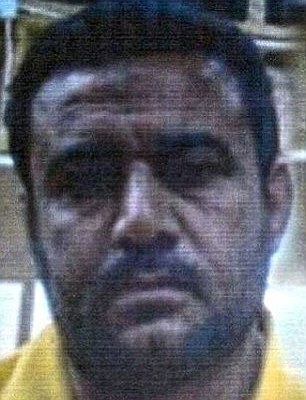 Al-Qaida in Iraq was initially led by a Jordanian militant, Abu Musab al-Zarqawi, and had a strong foreign presence in its leadership. But after al-Zarqawi’s death in a 2006 U.S. airstrike, his Iraqi successor, Abu Omar al-Baghdadi, began to bring in more Iraqis, particularly former Saddam officers. 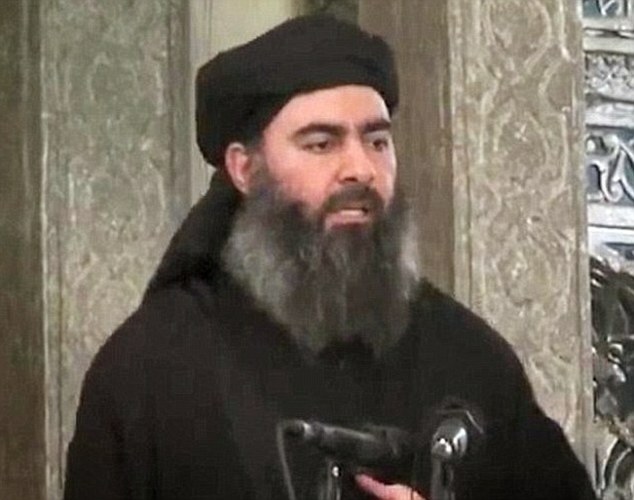 That process was accelerated when Abu Bakr al-Baghdadi took over after his predecessor was killed in a 2010 airstrike. Abu Bakr al-Baghdadi’s first two deputies, who each played a major role in setting up what would become its sweep over Syria and Iraq, were both Saddam-era officers, according to those interviewed by the AP. They were Sameer al-Khalifawy, an air force colonel killed in fighting in Syria in 2014, and Abdullah el-Bilawy, a former intelligence officer who was killed in Mosul by the Iraqi military in May 2014, a month before the city fell to the Islamic State group. He was replaced by the current deputy, Hassan. ‘It’s clear that some of these (Saddam-era officers) must have been inside the core of the jihadist movement in the Sunni triangle from the beginning,’ said Michael W.S. Ryan, a former senior executive at the State Department and Pentagon, referring to the Sunni-dominated area that was the most hostile to American forces in Iraq. 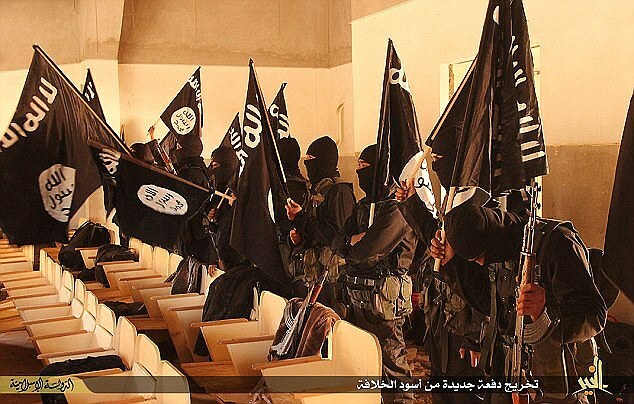 ‘Their knowledge is now in the DNA of ISIS,’ he said, using an alternate acronym for the extremist group. ‘This melding of the Iraqi experience and what we might call the Afghan Arab experience became the unique ISIS brand,’ said Ryan, now a senior fellow at the Jamestown Foundation, a Washington-based think tank. UK DARK TOURIST VISITOR ATTRACTION HERE AT THE CRIME THROUGH TIME COLLECTION, LITTLEDEAN JAIL, FOREST OF DEAN , GLOUCESTERSHIRE. INFAMOUS “GODMOTHER OF BRITISH CRIME ” LINDA CALVEY aka …”THE BLACK WIDOW”… A NOTORIOUS FORMER ARMED ROBBER, GANGSTER & ALLEGED MURDERER WHO SERVED 18 YEARS IN PRISON FOR A CRIME SHE HAS ALWAYS DENIED COMMITTING … YOU AS VISITORS TO THE JAIL DECIDE FOR YOURSELVES ??? ABOVE AND BELOW : Here’s a couple of pics of Linda Calvey during one of her private visits to view her exhibition here on display at Littledean Jail . BELOW: ORIGINAL OIL PAINTING BY GLOUCESTERSHIRE ARTIST PAUL BRIDGMAN DEPICTICING INFAMOUS “GODMOTHER OF BRITISH CRIME ” aka THE BLACK WIDOW, LINDA CALVEY , ALONG WITH HER FORMER HUSBANDS MICKEY CALVEY AND DANNY REECE, ALSO FORMER LOVER RONNIE COOK . THIS PAINTING IS ON DISPLAY IN AND AMONGST THE DARK TOURIST ART GALLERY HERE AT THE JAIL. BELOW: SIGNED COLLAGE PRINT OF LINDA CALVEY, BLACK WIDOW, PERSONALLY SIGNED BY HER. THIS BEING A PRINT OF THE ORIGINAL PAINTING BY PAUL BRIDGMAN , GLOUCESTERSHIRE ARTIST WHICH IS HERE ON DISPLAY AT THE JAIL . ABOVE: ORIGINAL PERSONALLY SIGNED OIL PAINTING ENTITLED ‘TRANQUILITY’ BY LINDA CALVEY. THIS WAS PAINTED FOR LINDA’S MOTHER WHILST INCARCERATED IN HIGHPOINT PRISON, SUFFOLK IN NOVEMBER 2002 AS CAN BE SEEN ABOVE. ABOVE: A PERSONALISED HANDWRITTED AND SIGNED DOODLE SKETCH FROM LINDA INCLUDING HER PRISON NUMBER, HERE ON DISPLAY AT LITTLEDEAN JAIL. Linda Calvey is a Londoner with stunning good looks and an attraction to gangsters . Her first husband, gangster Mickey Calvey, died in a Police shoot out after a botched armed robbery, and her second husband, Ronnie Cook, received a 16-year prison sentence for armed robbery in 1981. While Ronnie is incarcerated, Linda fritters away his stash. Fearing her lover’s reaction on his release, she pays a hitman £10,000 to take care of Cook, but “allegedly ” ends up firing the fatal shot herself ??? Linda Calvey has always vehemently denied this claim !!!!! SHE WAS OFFERED A LESSER PRISON SENTENCE BY THE HOME OFFICE IF SHE CONFESSED TO THE MURDER AFTER BEING GIVEN A LIFE SENTENCE. .SHE SUBSEQUENTLY REFUSED THIS OFFER OUTRIGHT AS SHE HAS ALWAYS MAINTAINED HER INNOCENCE AND THAT SHE HAD BEEN SET-UP ….. HENCE AS A MATTER OF PRINCIPLE SERVED THE FULL 18 YEAR PRISON TERM . BELOW: TABLOID SENSATIONALISM…. THE SUNDAY PEOPLE IN DECEMBER 2006 AIM TO RIDICULE LINDA CALVEY WHILST SHE IS STILL IN PRISON . BELOW : LINDA CALVEY (THE BLACK WIDOW) …BRITAIN’S NOTORIOUS FORMER FEMALE ARMED ROBBER, GANGSTER AND ALLEGED MURDERESS….WHO SERVED OVER 20 YEARS IN PRISON (18 YEARS OF THESE FOR A MURDER SHE STILL VEHEMENTLY CLAIMS TO THIS DAY SHE DID NOT COMMIT ) ….. SEEN FILMED HERE AT LITTLEDEAN JAIL HAVING A HEAD AND HANDS CAST FOR DISPLAY ( FOR THE LINDA CALVEY – BLACK WIDOW EXHIBITION ) NOW ON PERMANENT DISPLAY AS PART OF THE CRIME THROUGH TIME COLLECTION . 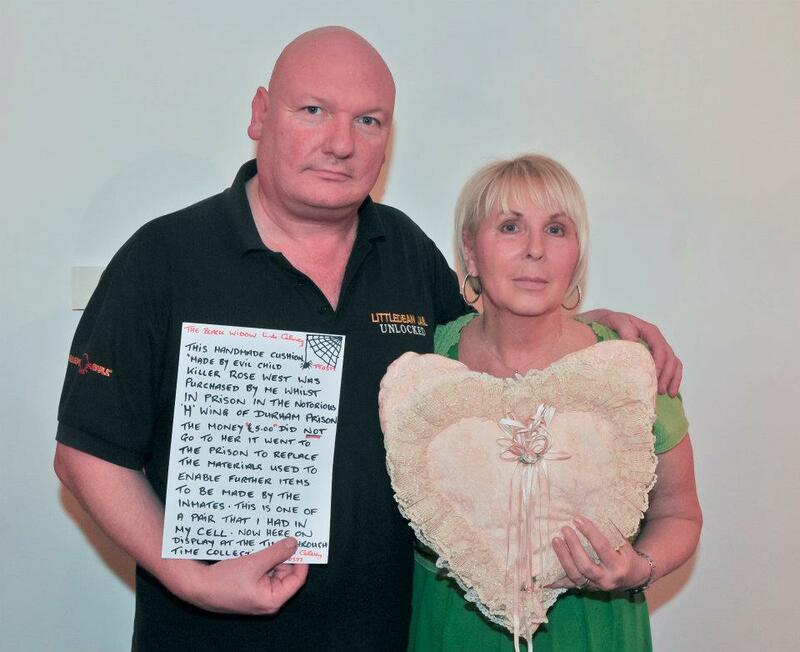 BELOW: LINDA CALVEY WITH ANDY JONES OF THE CRIME THROUGH TIME COLLECTION PRESENTING A HANDMADE CUSHION ACQUIRED FROM NOTORIOUS BRITISH SERIAL KILLER ROSE WEST WHILST IMPRISONED TOGETHER AT HMP DURHAM IN 1994 …. NOW ON DISPLAY AT LITTLEDEAN JAIL ALONG WITH VARIOUS OTHER MEMORABILIA ITEMS KINDLY DONATED FOR HISTORICAL DISPLAY AT THE JAIL . ABOVE AND BELOW : A CHRISTMAS CARD FROM MYRA HINDLEY TO LINDA CALVEY WHILST THEY WERE BOTH IN PRISON, ALONG WITH A HANDWRITTEN AND SIGNED LETTER FROM LINDA CONFIRMING THE ABOVE. BELOW: A FEW IMAGES TAKEN IN FEBRUARY 2018, OF A RECENT CATCH UP WITH LINDA CALVEY AND ANDY JONES OF THE CRIME THROUGH TIME COLLECTION DURING A PRIVATE VISIT TO HER HOME. WHEREUPON SHE ALSO KINDLY ADDED SOME PERSONALLY HAND SIGNED ANNOTATIONS TO VARIOUS EXHIBIT FEATURES FOR DISPLAY IN HER EXHIBITION AREA HERE AT LITTLEDEAN JAIL . NEWSPAPER FEATURE ON LINDA CALVEY’S MARRIAGE TO GEORGE CEASAR IN 2009 . SHE VEHEMENTLY DENIES KILLING HER FORMER LOVER RON COOK WHO WAS SHOT AT POINT BLANK RANGE WITH A SHOTGUN AT THE HOME OF LINDA CALVEY, THE CRIME FOR WHICH SHE SERVED A TOTAL OF 18 YEARS IN PRISON . SHE CLAIMS SHE WAS AFFORDED THE OPPORTUNITY BY THE HOME OFFICE AUTHORITIES TO SERVE A LESSER SENTENCE OF 7 YEARS IF SHE CONFESSED TO THIS CRIME . SHE REFUSED THIS OFFER CLAIMING THAT…. WHY SHOULD SHE CONFESS TO A CRIME SHE NEVER COMMITTED? INSTEAD THE HOME OFFICE INCREASED THE TARIFF ON TWO OCCASIONS TO A TOTAL 18 YEAR LIFE SENTENCE WHICH SHE SERVED IN FULL AS A MATTER OF PRINCIPLE . Linda Calvey is a female murderer and armed robber jailed for killing her lover Ronnie Cook in 1990. She was known as the “Black Widow” because all of her lovers ended up either dead or in prison. Calvey began her criminal career as a lookout, later becoming a getaway driver and eventually wielding guns herself during robberies. She paid a hitman Daniel Reece £10,000 to kill Cook. However he lost his nerve at the last minute and Calvey picked up the gun herself shooting the victim at point blank range whilst he kneeled in front of her. At the time of her release Calvey was Britain‘s longest serving female prisoner. She spent 18 and a half years in prison for the murder of Cook and had also previously served three and a half years for an earlier robbery. ABOVE: Linda Calvey pictured here during a private visit to The Crime Through Time Collection at Littledean Jail in the Forest of Dean , Gloucestershire. A woman known as the Black Widow who was jailed for life for shooting dead her lover at point-blank range launched a new High Court bid for freedom today. Lawyers for Linda Calvey asked a judge for permission to challenge Home Secretary David Blunkett’s failure to refer her case to the Parole Board. Her counsel Alan Newman QC accused Mr Blunkett of acting unlawfully and in breach of the European Convention on Human Rights. Calvey, 53, who was in court to hear her case argued, has served 12 years of her life sentence and is currently held at Highpoint Prison, Suffolk. She was convicted in November 1991 of the murder of Ronald Cook. At her Old Bailey trial the jury was told that Calvey originally hired a hit man, Daniel Reece, for £10,000 to carry out the murder in November 1990. But he had lost his nerve at the last minute, and she forced Cook to kneel in front of her before carrying out the killing. Both Calvey and Reece, who was also jailed for life, denied murdering Cook at Calvey’s home in Plaistow, east London, in November 1990. The trial jury was told Calvey was nicknamed the Black Widow because of her habit of dressing in black after her husband Mickey was shot dead by police in 1978 as he was carrying out an armed robbery. Today Mr Newman told the court that the trial judge set the minimum period she must serve for retribution and deterrence at seven years – but the then Home Secretary more than doubled the tariff to 15 years in 1993. The tariff was reviewed and reset in 1998. In November last year, the House of Lords ruled in the case of Anderson that it was incompatible with human rights laws for the Home Secretary to set tariffs for mandatory lifers. Article 6 of the European Convention on Human Rights required minimum periods in custody to be set by “an independent and impartial tribunal”. Following that ruling Ms Calvey asked the Home Office to refer her case to the Parole Board as a matter of urgency, but her request was turned down. Mr Newman told Mr Justice Jackson, sitting in London, that the Home Secretary’s failure to do so was unreasonable and breached Article 5 of the convention, which guaranteed a prisoner’s right to have their case reassessed if the basis for his or her detention changed. He said it was “irrelevant” that the Lord Chief Justice had also concluded that the tariff should be 15 years. Mr Blunkett had taken the view that Ms Calvey would have to wait until she could take advantage of new legislation passing through Parliament dealing with the position of lifers’ tariffs. But by then she would probably have served the full 15-year tariff, and this would amount to a “cruel punishment” contrary to the 1688 Bill of Rights, said Mr Newman. He told the judge that the case could affect many other murderers serving life sentences. She’s a notorious gangster’s moll and every man who’s fallen for her has ended up dead or in jail. Now she’s finished a 28-year stretch for murder – and found a rich fiance. Has he got more money than sense? plug the other day. It left her a little shaken. ‘Afterwards, the guy in the garage told me that I was very lucky the engine did not go up, because I’d have been a gonner,’ she explains, breezy as you like. For some reason she seems to find this funny. Even more curiously, George, the man she will marry next year, is rocking with laughter too, tears collecting in his eyes. Why the hilarity? Surely no sane person — or, at the very least, no lawabiding person — would regard it as funny to be so closely associated with Linda Calvey, behind the wheel or not. For Linda is the stuff of legends — East End gangster legends, mostly. In notoriety terms, she is up there with the Krays (indeed, Reggie Kray once proposed to her, which kind of says it all). 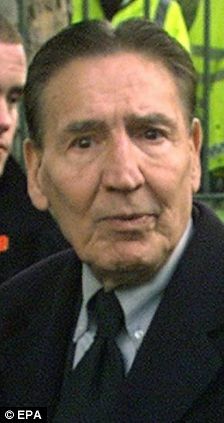 So did ‘Mad’ Frankie Fraser. In glamour terms, she is in a league of her own. For most of her adult life she has gone by the name of the Black Widow, dubbed so ever since one police officer with whom she’d had dealings pondered the fact that ‘every man she has ever been involved with is either in prison or dead’. When Myra Hindley died a few years back, Linda — her prison hairdresser, oddly enough — assumed the title of the longest-serving female prisoner in the country. That 18-year stint was for blasting a former lover to death with a shotgun. Another lover was her co-defendant in the case, and was sent down, too. They later married behind bars, although — as is so often the way with Linda — it didn’t last. Her first husband Micky (the one who taught her to be a career criminal — armed robbery to be precise) met a violent end, too, although this was at the hands of the police, who confronted him mid hold-up. That is quite some history to be trailing up the aisle with poor George, who seems like ever such a nice man. They will marry in the spring with seven — count them! — bridesmaids in tow. Isn’t that a tad excessive for a 60-year-old grandmother getting hitched for the third time? Perhaps. But then nothing about Linda Calvey was ever understated. Four months ago, she was released from prison and into the arms of her new love, whom she met while she was on day release. George Ceasar is a businessman and a part-time ski instructor, and ‘the farthest thing in the world from a gangster’, according to his future wife, who seems almost surprised by this. He drives a red Rolls-Royce (‘bought rather than nicked,’ she grins). His past is squeaky clean, literally. He used to run a successful bleach factory. ‘We were the first people to put bleach in bottles,’ he tells me, proudly. He should really be the sort of man who would run a mile from Linda Calvey and the criminal underworld she epitomises. So why, then, is he gazing adoringly at her and bemoaning the peculiarities of the British parole system, in the way that most men of his background would tut-tut at how you can never find a Post Office when you need one. George simply cannot believe that his bride-to-be is still subject to ‘barmy’ parole conditions, which mean she cannot spend the night at his — or their, as it is now — home. ‘They have this mad idea that I am in some danger because of her,’ he says, appalled. ‘They implied she might try to kill me, which is nonsense. Even if it were true, do the authorities really think that they are protecting me by allowing her to be here with me only during the day. Can’t you poison someone in daylight hours? Erm, well, no. But then, didn’t Harold Shipman’s patients think he was a darling? I pitch up at George’s sprawling 13-room period house in the Kent countryside, hoping to talk to Britain’s most notorious female gangster, and am taken aback by what I find. Her demeanour — warm, sparky, surprisingly vulnerable, endlessly entertaining — sets the tone for what will be a truly surreal interview. While I try to get the interview under way — remember that the subject matter is murder, armed robbery and organised crime — they bicker about who will make the tea and whether they are going to see Barry Manilow that evening. She wants to go, but he doesn’t. I feel as though I have stepped into a rather uneasy cross between a Guy Ritchie film and an Ealing comedy. 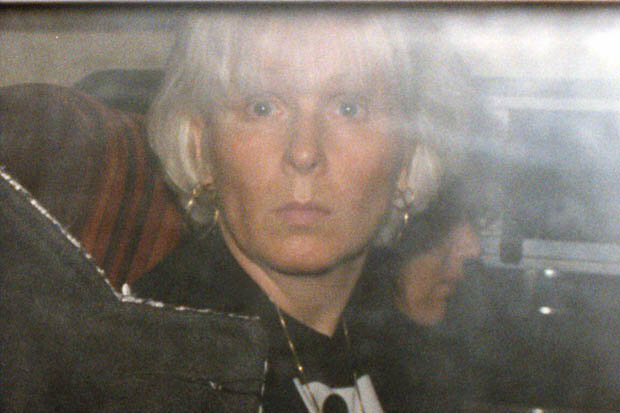 So, how clever is the woman who has been billed as Britain’s most notorious female gangster? On this evidence, extremely. The other inmates called her Ma in prison, and you can see why. She is attractive. A little brassy, yes — the lead character in Lynda La Plante’s Widows was apparently based on her — but not overly so. She is tactile, engaging and endearing. George was smitten from the very start. They met in a Medway town when she was on day release from prison two years ago. ‘I was in a restaurant and it was very busy, so she and her friend shared the table with me. We got chatting, and I thought to myself: “Well, this is a lovely lady here”,’ says George. George — in his mid-Seventies — has had troubles of his own. He tells me that he, too, has been married twice and that his second wife ‘robbed him blind’. point. He has grown-up children who he never sees. It sounds as though he was lonely when this captivating creature came into his life. Despite the horrific charge list, he brushes over the gangster stuff — even the bits Linda has admitted to. ‘Yes, she was a naughty girl, but haven’t you done anything wrong?’ he asks disingenuously. He also claims she is the kindest person he has ever met. They decide between themselves that she’s a much nicer person than he is on the grounds that she once gave a cold stranger her own gloves, while such a thing would never occur to George. It almost seems churlish to bring up more bloody matters and he sighs when I do so. ‘We’ve talked about it all,’ says George. ‘She’s told me what she did do and what she didn’t do. Yes, she did make mistakes, but she told me that on the big one — killing Ron — she didn’t do it, and I believe her. She was stitched up. Linda has always maintained that she did not kill Ronald Cook. She points out that had she professed some guilt she would have been out of jail years ago. However, in November 1991, a jury decided that she did, and the evidence presented in court was as chilling as Linda’s current set-up is cosy. Ron had been her lover for several years, but when he went to prison, she turned to several of his friends — also gangsters — for comfort. Things got complicated, in the sexual and financial sense. The court heard that, on Ron’s release, Linda was terrified that he would discover she had been unfaithful and had spent the heist money he had stashed away. She allegedly asked another lover, Daniel Reece, to kill him. An agreement was put in place. Linda collected Ron from prison and drove him to the home they shared. Reece was waiting, but lost his nerve at the crucial moment, leaving Linda to take the shotgun off him and finish the task herself. Surreally enough, we find ourselves in George’s kitchen when this horrific chapter is broached. Both are standing as Linda tells her version, effectively re-enacting aspects of that day as she describes how she cowered in a corner as a gunman — the real killer, she says — fired at pointblank range. The pair of them talk, quite matter-of-factly, about it as Linda puts the kettle on, saying that the Black Widow tag is quite unfair. What she fails to do, however, is convey any real sense of remorse — even for the fact that a man she professed to love died in such a manner. Cold-blooded? Barking mad? Or has she just been removed from law-abiding society for so long that she finds such complete moral detachment easy? What’s interesting is that the only man she talks about with genuine affection is her first husband, Micky — shot dead by armed officers in a botched robbery. ‘I was from a respectable family, no hint of trouble there,’ she says of their meeting. Micky robbed at gunpoint. His team’s jobs were mostly planned in their kitchen, with her making tea and sandwiches, listening in. Learning. She maintains that she got involved in the hard stuff only when Micky died. She even insists, after a moment’s hesitation, that the guns she carried weren’t even loaded. She clearly hates the police and blames The Establishment, whatever that is, for the death of Micky. But she isn’t nearly as bitter as you might expect about her time in prison. Again she talks dispassionately about how she survived: it seems to have boiled down to being tougher than all the rest, but never appearing to be tough. Black humour stalks every sentence. doesn’t put herself in the same criminal, morally deficient class, though. ‘Myra never regretted what she had done. I was often shocked by her. I remember when I was working in the prison library she came in and asked to order a book, but she wanted me to put it in the name of another girl, who never came into the library. I asked what book. It was The Devil And His Works. She got it, too. George looks on — fascinated rather than horrified — as she chats away about somehow finding herself in the same prison wing as one of the most notorious female killers of our time. Is there remorse on her part? Yes, undoubtedly so — although mostly for herself and her loved ones. ‘I did not kill Ron and should not have done that sentence, but I know full well that it was my lifestyle that put me in prison for that murder, and that is a terrible thing to live with. ‘All my grandchildren were born when I was inside. I haven’t seen any of them grow up, and they never had a granny. She seems close to tears. George pats her arm and talks about how they could put another Christmas tree in the hallway, if she wants. Have they considered a prenuptial agreement? ‘I’ve said I would sign one,’ Linda says sharply, but George shakes his head in distaste. Next spring — “If I last that long,” quips George — those wedding bells will ring. Linda is already thinking about flowers and cakes. As I leave, she skips off to fetch me some of the cake decorations she learned to make in prison. They are truly remarkable: tiny flowers, berries and leaves, made out of icing, but impossible to tell from the real thing, even up close. The woman has a rare, impressive — and deeply disturbing — talent for leaving you wondering what is real and what is fake. DAILY MAIL NEWS REPORT 6 SEPTEMBER 2016 …. A killer known as the Black Widow is single again following the death of her third husband – but a close friend has insisted it has nothing to do with her infamous track record for losing spouses. Linda Calvey – who was given her nickname after after one police officer mused ‘every man she has ever been involved with is either in prison or dead’ – is mourning the passing of Goerge Ceasar, 84, in a Spanish hospital this weekend. The friend said: ‘She dreads imagining the wrong conclusions people will now leap to, especially as cynics warned when she married him it was for his money, which wasn’t true. ‘The reality is that despite being a tough old boy, George simply passed away from a combination of illness and old age. Linda had nothing to do with his death. She served 18-and-a-half years in jail – the longest time behind bars by any woman in Britain – after shooting a former lover dead. But Ceasar, who was 17 years her senior, seemed unworried by her reputation. At his and Calvey’s lavish white wedding five years ago, the law abiding tycoon joked of his willingness to take a chance on ‘Linda not bumping me off’. However, it is said he recently told friends that ‘marrying Linda was the worst mistake of my life’ – while Calvey hinted at a possible divorce. ‘Unlike George she wasn’t prepared to sit around at home in God’s waiting room day in day out. She spent a third of her life locked-up and when she was released she needed to be out and about,’ said the friend. Ceasar, who left the UK to live in Spain for health reasons last winter, had spent a month in hospital near Benidorm, Costa Blanca, surrounded by Calvey’s family and friends. The former ski instructor – who was given the last rites by a priest last week – left instructions for his ashes to be scattered on his favourite mountainside in Switzerland. 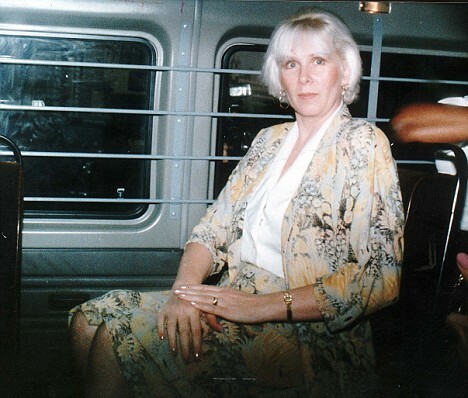 But Calvey was not at his side when he passed away as she is still subject to parole orders including travel restrictions, lives in Basildon, Essex. Calvey, who rejected marriage proposals from villains Reggie Kray and ‘Mad’ Frankie Fraser between husbands, was immortalised in the hit TV series, apltly named ‘Widows,’ by Lynda La Plante but she scoffed at claims she had made £1million from her crimes. 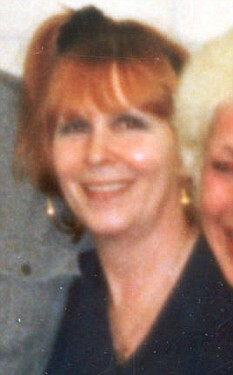 Her first husband Micky was shot dead by the Flying Squad in a bungled raid on a London supermarket in 1978. She later wed hitman Danny Reece, who helped her kill her then boyfriend, Ronnie Cook in 1990. Then, while Reece was still in jail for the murder, she asked him for a divorce to wed George. They had first met by chance in a crowded pub in Canterbury, Kent, close to the prison where she was being prepared for release. Above: Linda with her boyfriend Ronnie Cook who she was alleged to have shot dead in cold blood . As their friendship blossomed, he regularly visited her at HMP East Sutton Park and she confessed to him hat while she had ‘done many bad things in life’ she was not a murderer – despite the Old Bailey’s damning verdict. Calvey has always maintained she was innocent, but jurors heard how she snatched the shotgun from Reece after he had bungled Cook’s killing, and finished him off herself. The friend said that she was braced for a backlash over George’s death from doubters who claimed she had only wed him for his bank balance. Calvey had spent so long in jail that when she left her cell, her State pension amounted to only 11p a week. ‘Despite their differences, Linda greatly respected George, who was the kindest man she had ever known. She will miss him but she was never a gold digger. NETFLIX UK DARK TOURIST ATTRACTION. THE CRIME THROUGH TIME COLLECTION, LITTLEDEAN JAIL, FOREST OF DEAN, GLOUCESTERSHIRE : PEAKY BLINDERS FEATURED HERE AT THE JAIL . A GANGSTER INSPIRED FAMILY DRAMA TV SERIES ORIGINALLY SET IN 1919 & BEYOND IN BIRMINGHAM, ENGLAND. IT IS CENTRED ON A VIOLENT CRIMINAL GANG WHO SEW RAZOR BLADES INTO THE PEAKS OF THEIR CAPS…. HERE AT THE CRIME THROUGH TIME COLLECTION, LITTLEDEAN JAIL WE FEATURE A VERY BRIEF, THOUGH INTRIGUING, INSIGHT INTO THE BACKGROUND OF THE REAL PEAKY BLINDERS ALONG WITH A BRIEF EXHIBITION FEATURING THE NOW ICONIC WORLDWIDE PHENOMENAL TV SERIES . WE HAVE A BIT OF PEAKY BLINDERS MEMORABILIA AND PERSONALLY HAND SIGNED PHOTOGRAPHS, ALONG WITH WEAPONS AND OTHER ASSOCIATED TOOLS OF THE TRADE HERE ON DISPLAY. THIS HAS NOW BEEN INTRODUCED AS A BIT OF A FURTHER VISUAL FEATURE , MIXED IN AND AMONGST OUR TRUE CRIME , GANGLAND AND MAFIA DISPLAYS…. BEING EN ROUTE THROUGH TO OUR KRAY TWINS EXHIBITION. Britain is a mixture of despair and hedonism in 1919 in the aftermath of the Great War. Returning soldiers, newly minted revolutions and criminal gangs are fighting for survival in a nation rocked by economic upheaval. One of the most powerful gangs of the time is the Peaky Blinders, run by returning war hero Thomas Shelby and his family. But Thomas has bigger ambitions than just running the streets. When a crate of guns goes missing, he recognizes an opportunity to advance in the world because crime may pay but legitimate business pays better. Trying to rid Britain of its crime is Inspector Chester Campbell, who arrives from Belfast to try to achieve that goal. ABOVE: TOMMY SHELBY USING HIS MUCH FAVOURED PERSONAL WEBLEY 455 MK VI REVOLVER IN PEAKY BLINDERS . BELOW: AN ORIGINAL WEBLEY 455 MK VI REVOLVER AS USED IN PEAKY BLINDERS, HERE ON DISPLAY AT THE JAIL …. BELOW: An original Mauser C96 Broomhandle pistol. 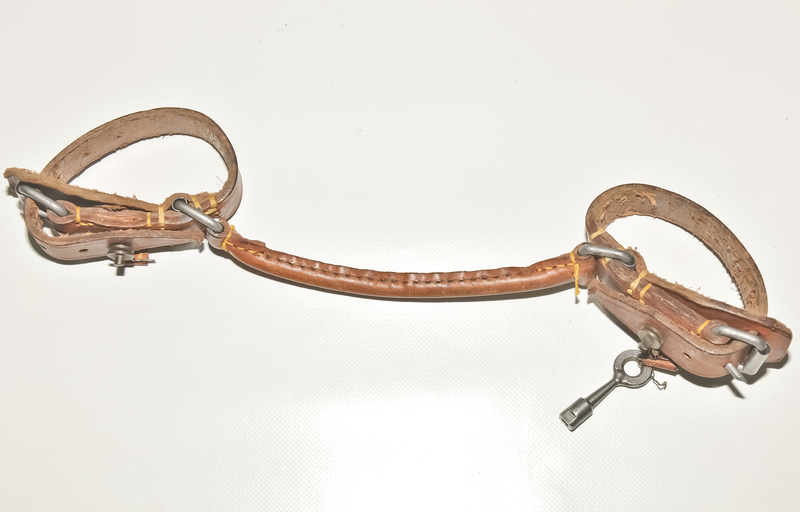 This being carried and used by Cillian Murphy starring as Thomas Selby (see below) and also Billy Kimber’s bodyguards in the Peaky Blinders TV Series…. BELOW : Thomas Selby with a Mauser C96 Broomhandle pistol carried and used in the TV series Peaky Blinders …. BELOW: AN ORIGINAL BRASS AND CAST STEEL BLADE KNUCKLE DUSTER AS USED BY THE ORIGINAL PEAKY BLINDERS AND BILLY KIMBER’S BIRMINGHAM BOYS GANG . BELOW: Original ” no holds barred ” WW1 US 1918 stamped knuckle duster ” trench knife ” issued to the British troops during the brutally violent WW1. 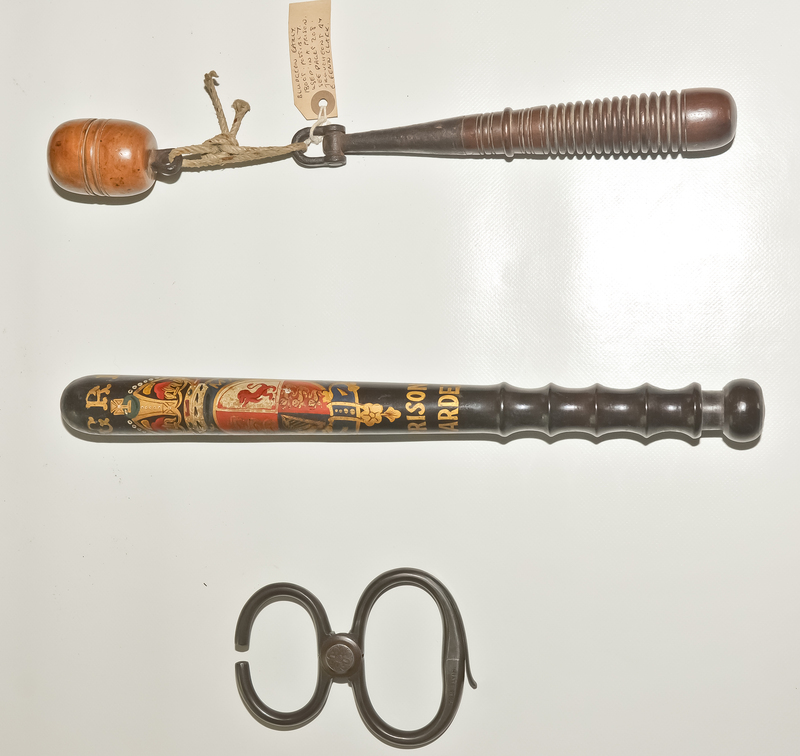 These would also more than likely have been carried and used by the original Peaky Blinders, Charles Sabini, Billy Kimber and other violent street gangs at the time as a much favoured and tool . Most likely these weapons are still used today throughout the world as a violent weapon by debt collectors, street gangs and others ??? ?